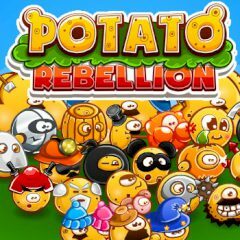 The potatoes had gone mad and raised a rebellion! It's a pity that so many vegetables will be destroyed, but they mustn't reach the ranch at any cost. Just click on the potatoes once, twice or thrice to make them burst like bubbles.